The first human that counseled anyone not to “play with fire” was likely not a mother, but a Shaman who knew well the beauty and fury of the Fire Element. From a spiritual perspective Fire represents our passions, compulsion, zeal, creativity, and motivation (as in, “put a fire under it!”). The Element of Fire has great power for forging will and determination. It is our inner light as well as a living symbol of the Divine fire that burns in every soul. Like other Elementals, this means that Fire has a form in the Earth Plane and in spiritual realms. It is a source of energy that requires careful moderation and control or you WILL get burned (or alternatively “burn out”). The Fire Element requires boundaries so you can tend it and feed it as the coals begin to dim. Be it the hearth fire, which is the heart of the home, to a ritual fire at which humans and Salamanders dance magic into being, the inherent nature of Fire is combustive and unbridled particularly when paired with Air energy. For this reason, if you are just starting to work with Elementals its strongly suggested you begin with Earth as your grounding cornerstone and move on to other Powers as you grow. Greek philosophy classifies Fire as one of the four foundational elements tied to passion and power. So important was Fire that it took a hero, Prometheus, to steel it from the sun so humankind could survive (a feat for which the God’s punished him!). Heraclitus, a philosopher from Greece, offered a very interesting peek at the Fire element and its connection with our souls. He felt that the soul consisted of both water and fire. The eternal soul’s quest is eventually to become pure fire, which we might consider “enlightenment” by modern standards. We can credit Plato with giving Fire the Sacred Geometrical form of the tetrahedron. Plato explained this by saying that fire does not need large numbers of sides to manifest its sharp affect. Consider the intensity of a small grouping of white hot coals as one example. Far Eastern philosophies see fire as forceful and primal. Its physical manifestation is our metabolism. Mentally it translates into personal drive, intention and desire. Hindu / Vedic tradition has a Deity called Agni who is not only the sun but fire and lightning. Agni accepts offerings, acts as a messenger between heaven and earth, and stays young forever thanks to the daily relighting of his fire. In this bit of mythology we find the Fire Element as a symbol of communication and immortality. One cannot help but think of early humans waving a fire in the air to send signals back and forth. As for immortality – our spirit is like a fingerprint: we are of the stars and suns. We are of the fire. If you watch a fire burn you’ll notice that there are many Colors depending on the heat levels. Red, Orange and Yellow are typically at the top of the Fire where the Air Element feeds them. Blue and White hot coals are at the bottom of the Fire. All of these Colors affect the personality of the Fire Element. The energy, excitement and exuberance of the fire comes out at the top, but without the purity of the blue white embers below, those upper flames could not reach their glory. This is part of the reason why Fire is a complex element to understand. It may burn with joy or anger, it may offer life-giving light and heat or destruction. Magically speaking Fire comes under the rule of Venus – the planet of passions. In ritual and spell casting Fire energies apply to anything associated with your personal power, ingenuity and manifesting will. It can also represent bravery, beginnings and drive. Fire is active energy. It houses beings called Salamanders that dance inside with joy until the source burns no more. 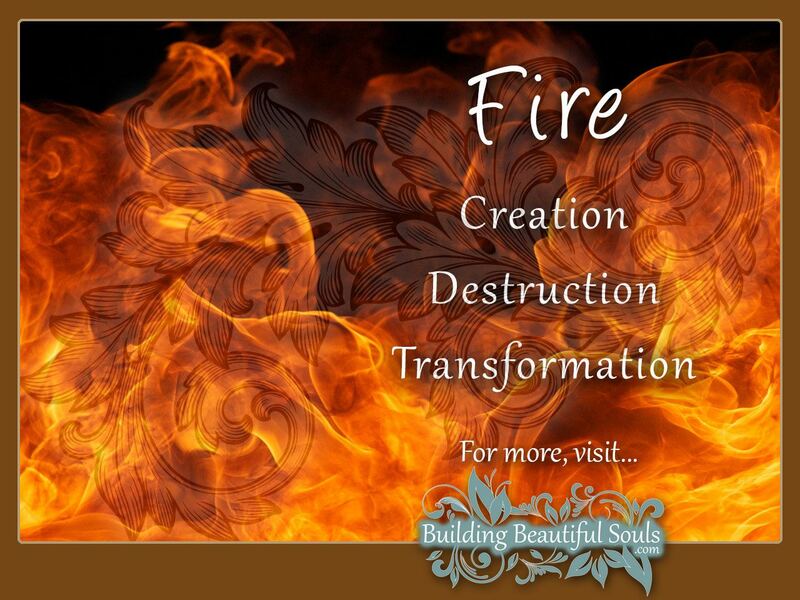 In Feng Shui the Element of Fire embodies our enthusiasm, warm feelings, movement and spiritual radiance. The Fire is alive and gives birth to new life and new ideas. In the home, red items can represent Fire energy, usually placed in the Southern Quarter of the home. Additionally or alternatively place Fire emblems near the fireplace or kitchen hearth. Combine this with wooden tokens, a way of giving the fire “food”. If you feel there is too much fire in your home (on-going clashes, for example) temper the fire symbols with metal. Divination by Fire also known as Pyromancy is an ancient art that historians feel was among the first forms of prognostication. It’s known that virgins at the Temple of Athena practiced this art as well as the followers of Hephaestus. Typically the diviner would build a sacred fire then observe flames and/or smoke naturally occurring from that fire or other components. Various additives to the fire included salt, plant parts (including laurel leaves), turtle shell, and straw. When an item was tossed on the flame with a question, a quick demise represented acceptance with the Divine and a good omen. On the contrary, a flame that suddenly died foretold dire consequences. To this basic foundation other peripherals might apply such as the crackling of the fire, a fire without smoke or the number of flames that peaked in the fire. In Tarot, the Fire Element corresponds to the Suit of Wands or Rods. When the Element of Fire appears in the Tarot it usually represents alchemical transformation or passions, both of which can take a situation and make it wholly unrecognizable after change occurs. Some powerful High or Major Arcana cards like the Devil Tarot Card and Tower Tarot Card both feature fire as a visual emblem. The Suit of Wands tie to the magical or ceremonial wand or staff that directs great power and bears great responsibility. The entire Suit focuses on our spiritual nature, strength, insight, ambition and growth. A Wand can point outward or inward – shining Fire’s light on our own true nature as well as how that affects the world around us. Or the Rod becomes a teacher’s baton, drawing our attention to unfinished tasks. In this case, we need to temper fires so that everything gets sufficient energy for success before your inner reserves dwindle out. 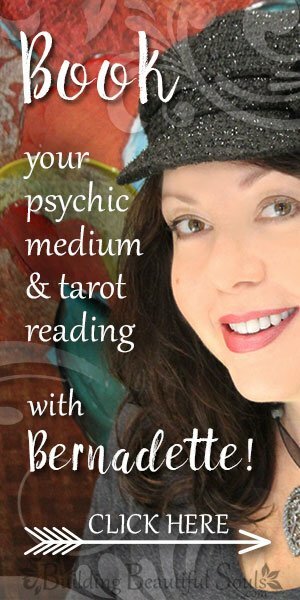 Get in-depth Tarot Card Meanings to help strengthen your ability to read Tarot! It is no coincidence that the Master Number 11 represents illumination and insight or that this number vibration corresponds to the Element of Fire. It’s a dynamo among numbers, even as Fire explodes among the Elementals. Just like fire, the Number 11 can create wonders or great destruction. It is also the number of spiritual truth and psychic vision. All of this combines to support the Fire Elemental’s characteristics perfectly. Amp up your divination skills by learning about Numerology! It’s actually really easy to learn this skill and clients LOVE it when you add this to their psychic and/or tarot reading! The Western Astrological Signs of Aries, Leo and Sagittarius come under the Fire Element’s domain. The vibrations in these signs is highly energetic, filled with creative or insightful “flashes” and a true passion for every moment of life. They are like the Salamander – never missing out on the minutia. Fire signs rely on their inner light for guidance, but sometimes overlook the emotional sensitivities of others when they’re consumed by a mission. Risk taking plays a role here, but one that could release destiny’s spark in unexpected and amazing ways. Crystals & Stones: Amber, Bloodstone, Carnelian, Garnet, Fire Opal, Gold, Ruby, Sunstone and Tiger’s Eye. If you appear in a dream featuring Fire and come out without burns it’s a good sign that tumultuous times won’t harm you. Dreams about starting a well-tended fire implies slow, steady improvements often in finances. Fire may also have connotations regarding purging and cleansing. Nearly every Culture encountered has at least one, if not several, Deities that govern Fire and its vibrational nature. Some easily recognizable ones include Agni, Astarte, Bast, Bel, Chango,Hephaestus; Hestia, Kali, Pele, Di Penates, Vulcan and Weland. Some of the most interesting superstitions about fire focus at the time of Fire Festivals like Beltane and Midsummer. During such times in Celtic regions people would make Baal Fires and move their herds between them believing that it kept them healthy in the coming year. To offer the blessing of Bel is akin to wishing good fortune. At some Druidic festivals the fires throughout the land would be extinguished then relit from one sacred flame to represent the community’s unity and provide protection. However, knowing that fairies were prevalent the Priests might admonish people to place spent embers under a child’s bed and in front of their doors so no mischief happened. Giving away Fire or salt on May day is akin to giving away your good fortune for a year.